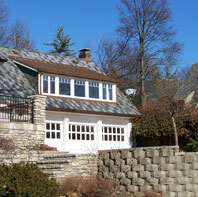 Call (513) 941-3600 or click for Cincinnati's premiere Roofing Contractor. D.M. Norris Co. is a Roofing Contractor located in Cleves, Ohio and providing Roofing Services in and around Cincinnati, Cleves, Indian Hill, Hyde Park, Terrace Park, Madeira, Liberty Township, & Mason, Ohio. accredited member of the better business bureau•custom web design by web works All contents © 2008 DM Norris. All rights reserved.